Daisy Emerson is a London based artist who specialises in typography and exquisitely hand painted lettering. Emerson studied at St Central St Martins and has worked commercially in the design and production industry for 10 years before becoming a full time artist. 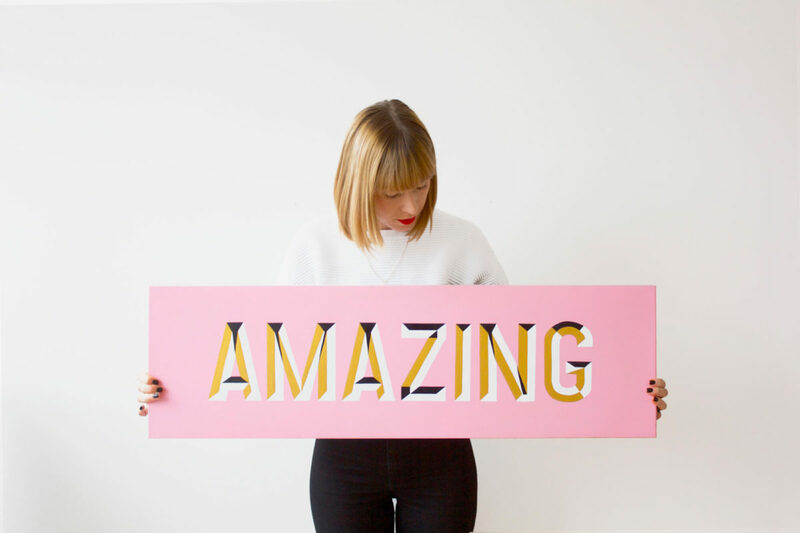 Emerson’s work stands out as her typography mixes lux materials such a as gold, marble and enamel with pops of colour to create striking artworks.